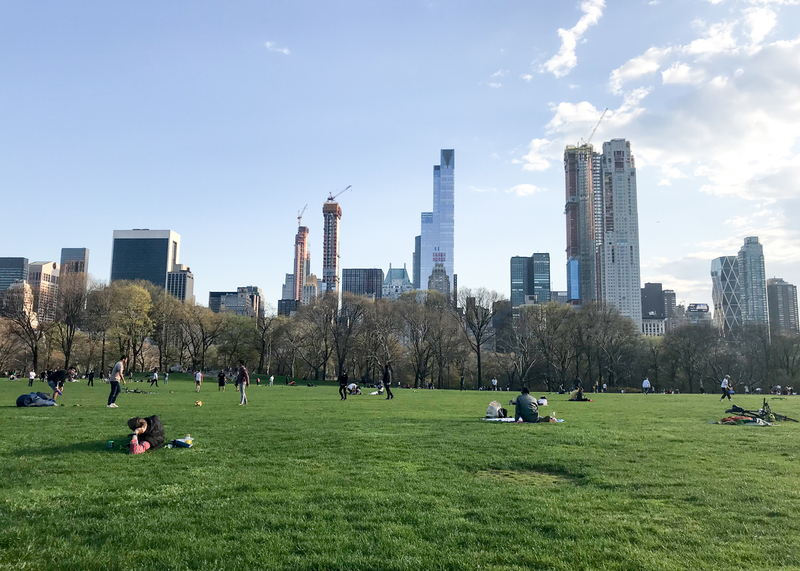 Looking from Sheep’s Meadow, Billionaire’s Row is finally starting to fill out neatly, giving both 432 Park Avenue and One57 some much-needed company. 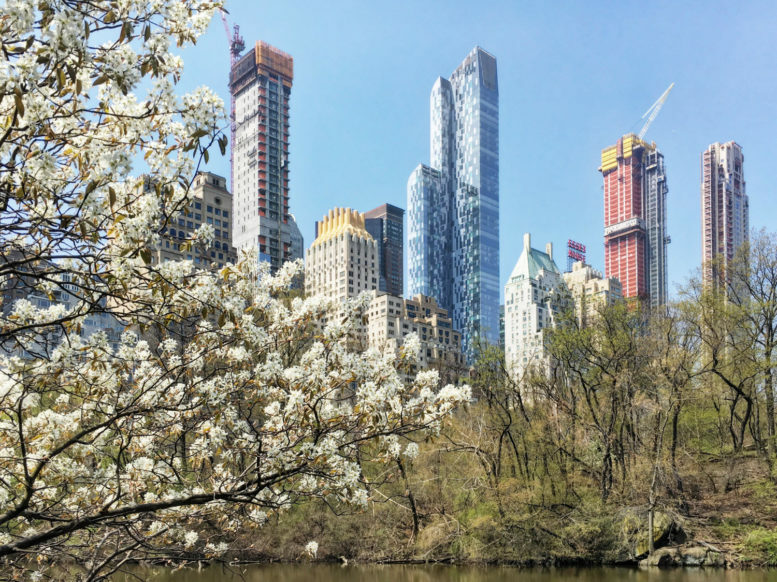 53 West 53rd Street has already topped out, and the façade of 220 Central Park South is nearly complete. 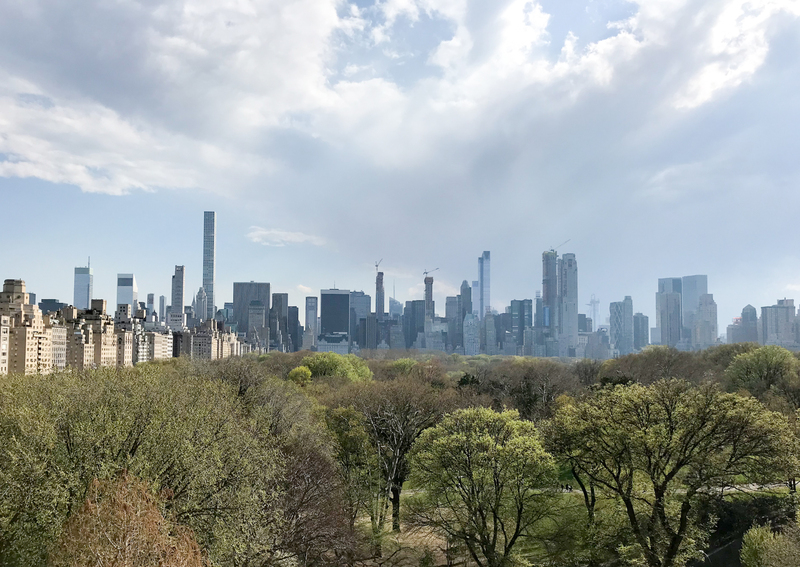 Looking from the Metropolitan Museum of Arts’ rooftop, it’s clear that it’ll be some time before 111 West 57th Street and Central Park Tower surpass 432 Park Avenue. 30 Hudson Yards is a surprise guest to the view, visible between 220 Central Park South and the Hearst Tower. 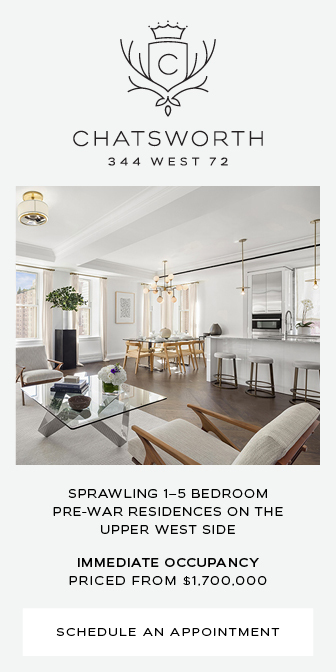 The newest proposed addition to the stretch is 12 West 57th Street. 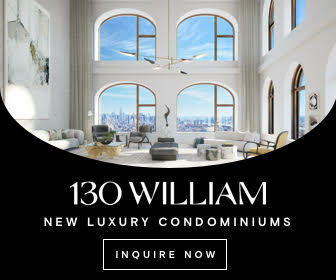 Permits were filed this month for a new 672-foot tall tower designed by SOM and developed by the Solow Management Corp. It’s unlikely this building will be substantially visible from Central Park since it would rise to an identical height to SOM’s and Solow’s iconic 9 West 57th Street. 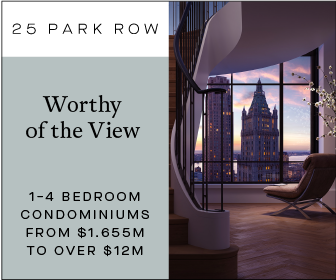 The 1,550 foot-tall Central Park Tower is rocketing towards the top of several records. It will become the tallest building in the country by roof height, surpassing Willis Tower’s architectural height of 1,450 feet. It will also be the tallest residential building and second tallest building in the country by parapet. Lastly, the project is hoping to become the most profitable building, with a targeted sell-out of $4.4 billion. 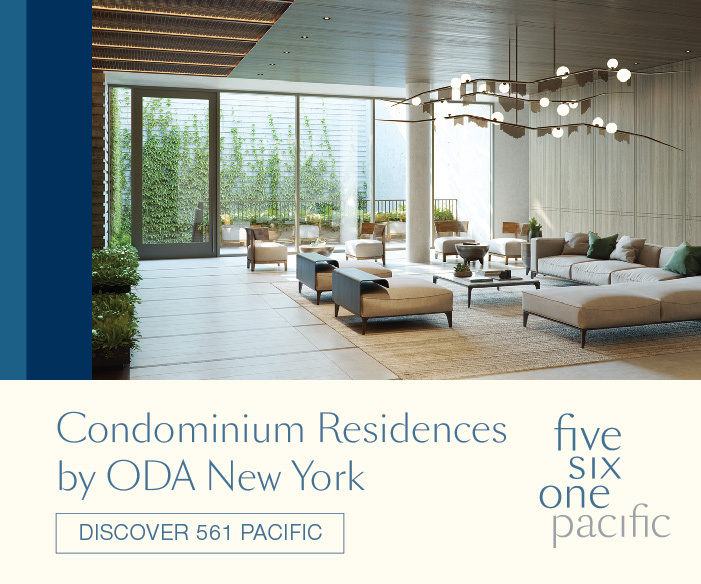 179 condominiums will be created, with prices average $7,106 per square foot. 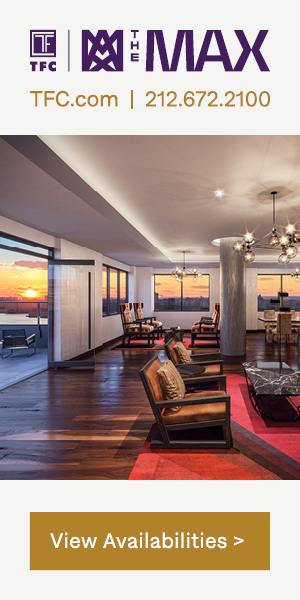 The most expensive penthouse is expected to sell for $95 million. The building is expected to cost $1.2 billion to complete. Topping out is likely to occur by 2019 if the current pace of construction continues. Completion is expected by 2020. 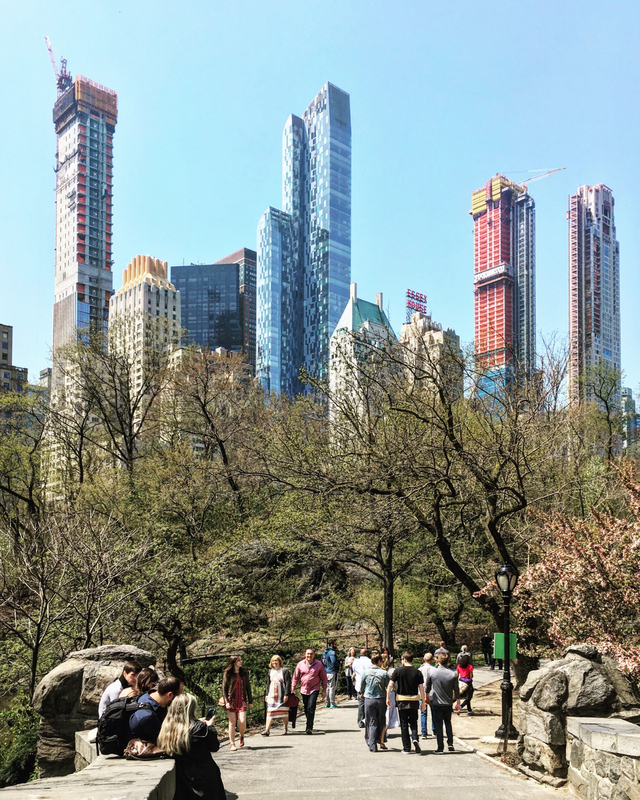 7 Comments on "Central Park Tower, Country’s Tallest Building Under Construction, Officially Reaches Supertall Territory"
Not since 1974 has NYC had the tallest building by roof height. By the end of this year, CPT will surpass the 1,451 foot height of the Willis Tower in Chicago. This is just my opinion but they are such ugly buildings. Why, because anything that an architect or engineer makes has any NO long term fashion. In 5 years its ugly and then you have to live with it “forever”. Why can’t an architect just crawl before they fly because they are always falling from the sky. I tend to agree. The Hampshire House, Barbizon Plaza (I refuse to cite its present name), and the Essex House are far more visually pleasing to the eye. Thank God they survived the wave of moneyed greed which I was fearing would have allowed their demolition. Tallest buildings? These are temples of greed. Whatever happened to the artistic architectural designs tall buildings/skyscrapers once had? As I look at the pictures of these non appealing, monolithic eye sores, I ask myself,why were they even built ? They dwarf the stunning beauty of The Dakota and the other surrounding smaller buildings. Plus they do not blend into the existing charm of the neighborhood. You know, these same comments were voiced during the constructions of the Eifel Tower, the Flatiron Building, the Chrysler Building, and the Empire State Building. Paris and New York, without these landmarks, would simply be unthinkable. Time is the great equalizer. Will there ever be a building in the US over 2,000 feet tall?